Product information "Shimano Ultegra Cassette CS-R8000 11-speed 14-28"
Superior choice is at the heart of our rider-tuned philosophy. With gear combinations 11-25T, 11-28T, 11-30T, 11-32T, 12-25T, 14-28T and 11-34T (CS-HG800-11) you'll have all the options you need to tune your ride. 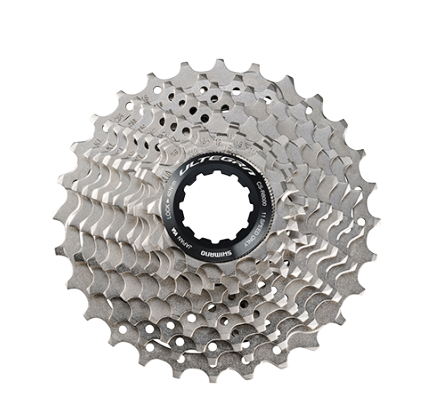 Related links to "Shimano Ultegra Cassette CS-R8000 11-speed 14-28"
Customer evaluation for "Shimano Ultegra Cassette CS-R8000 11-speed 14-28"